Three weeks ago, senior Nicol M. Hernandez was preparing to meet her URI 101 students for the first time, but a significant issue almost made her late. While many people cite traffic, parking or sleeping through their alarms as common excuses for being late, Hernandez had only 10 minutes to figure out how to get to the second floor of Pastore Hall in the absence of a working elevator. “I think a lot of times people forget to inform Disability Services when an elevator gets broken down,” Hernandez said. If Disability Services doesn’t know there’s a problem, Hernandez said there’s no way for them to notify her in advance. 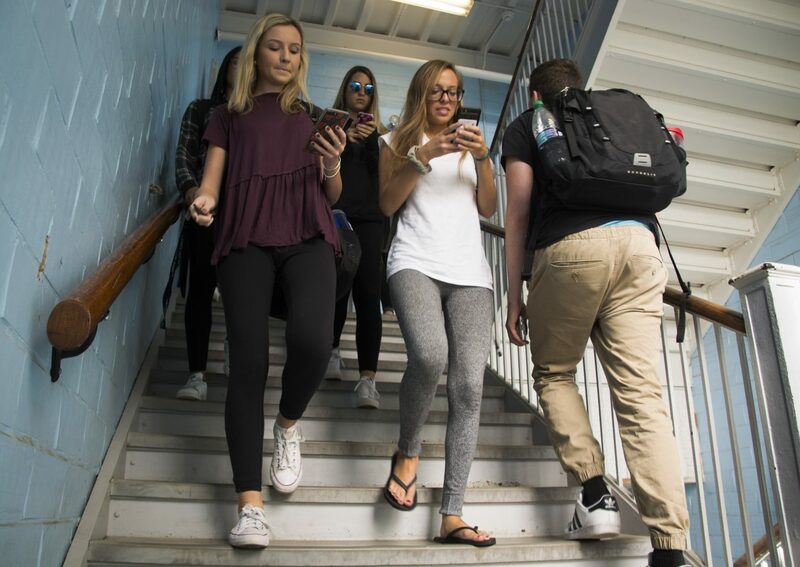 For many, taking the elevator isn’t the only option, and maintenance issues that force students to take the stairs are nothing more than an irritating inconvenience. It moves beyond irritation, however, for those who rely on these services. Hernandez was born with Spina Bifida, which is the most common permanently disabling birth defect in the country. Because her spinal column never finished fully forming before birth, Hernandez relies upon elevators and ramps to navigate her way throughout campus. However, her physical disabilities have never prevented her from excelling in the classroom or taking on leadership positions on campus. It has, from time to time, made her dependent on others though. “I was waiting for the elevator, and some guy who was working there comes out and said it was broken,” Hernandez said. Last week The Good 5 Cent Cigar surveyed an additional 25 elevators across campus. None of them displayed a certificate of inspection dated from within the past 12 months. The majority of them were inspected in April or September of 2016, according to the certificates of inspection. 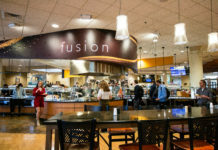 Director of Facilities Services Jerome B. Sidio said that despite the certificates not appearing to be up to date, the University has been servicing their elevators. In an interview The Good 5 Cent Cigar conducted with Rhode Island Chief Elevator Inspector Sean Egan in 2015, Egan said it was illegal not to display a current inspection certificate. In addition to keeping up to date with the state’s yearly inspections, Sidio said the University also inspects each elevator monthly to make sure they are operating properly. If something happens the day after the elevator is inspected and the issue goes unreported, Sidio said there’s no way facilities would know until the next service date. Too many people assume that someone else will report it, though, according to Sidio. The worker who informed Hernandez that the elevator in Pastore wasn’t working on her first day of class said it hadn’t been working in weeks. Lucky for Hernandez she was able to take the elevator in Morrill Hall, but there is no ramp on the other side of the doorway that connects the two buildings. Instead, she had to ask the worker to lift her chair down a small set of stairs. Hernandez was able to work with Assistant Director of Disability Services Paige Ramsdell to move the class, but there are other issues that she’s been working to improve over the past four years. During her freshman year, Hernandez was the only student on the President’s Commission on People with Disabilities. 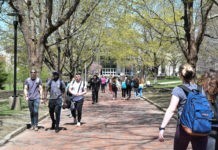 Over the past few years three other students have met with faculty and department heads about how to make the campus more accessible. Sidio and Hernandez are in agreement that the campus is in need of some improvements to make the campus more accessible. The Americans with Disabilities Act of 1991 requires that wheelchair ramps must have a 1:12 ramp slope ratio, but the hills on campus obviously exceed this, according to Sidio. Hernandez said that getting up the hill can be a huge challenge, especially when there isn’t adequate snow removal, but other run ins with issues come from a breakdown in communication. Disability Services makes sure that all of Hernandez’s classes are handicap accessible before the start of the semester, but Hernandez still comes to campus early to make sure that everything will work out fine. Just because all of her classes are accessible, however, does not mean that they’re all inclusive. Large lecture halls, like the ones in Chaffee, can leave handicap students feeling left out. “It’s not an inclusive environment where I can be a part of the class, because I’m kind of awkwardly chilling in the front,” Hernandez said. Every time she has class in Chafee, one of Hernandez’s classmates opens a side entrance so she can sit in the back with everyone else. “The students here are always really helpful and they always want to help,” Hernandez said. She’s grateful for the help, but worries about inconveniencing others. “I feel like I should have the chance to be independent and do everything myself,” Hernandez said. Despite some problems, Hernandez said she would never take back her decision to study at URI. She said there would have been accessibility at any college campus she decided to go to. She’s just looking to make necessary changes.